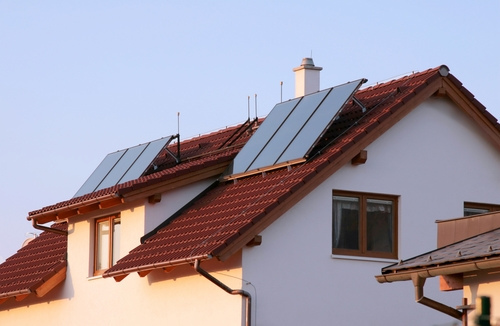 If you’re a homeowner, getting into residential solar power is a complex decision. 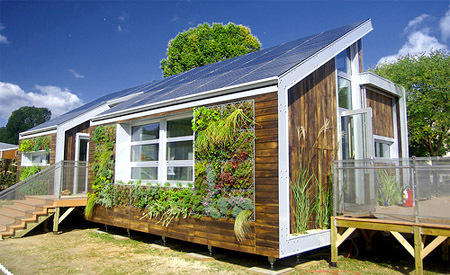 Solar benefits all of us, and especially the person with the panels on the roof. But going solar involves money, plus dealings with legislation at federal, state and city level, plus the quirks of local installers. In this post we’ll take a bird’s eye view of the topic. Firstly, let’s pretend you don’t have to cope with the feds or the city. Does solar look like a good idea? Well, you’ll have to spend $10,000 or more to get a installation capable of directly replacing the power you get off the grid. That’s way more than the average annual power bill (see how much does solar energy cost?). But after a decade or so, you’ll be in profit, and then you won’t have to worry about power bills ever again. Can you afford not to think long-term? Of course, the govermnent wants you to go solar, so they make policies that encourage you to take the plunge by speeding up the payback. In the US, they have two lines of attack. Firstly, they give back some of your investment directly. If you’re a taxpayer, you can get a credit of 30% of the cost of your solar installation against your tax bill (federal solar tax credit). That should speed things up a bit. Secondly, they can encourage state legislatures to get into RPS (Renewable Portfolio Standard) legislation. States across the US are setting RPS-related renewable energy targets. There’s nothing to it: they just pass laws stating that a set percentage of all the power in the state has to come from renewable energy sources, and leave the detail to the power companies. Now, the power companies often don’t want to invest in new plants — even when they’re faced with massive fines. So they encourage homeowners to install renewable power systems, and then buy power from them. That’s microgeneration. Microgeneration can cover wind, hydroelectric and geothermal, but there’s no doubt that solar is winning out in the market. Modern solar PV installations usually feature grid tie components, designed to hook the panels to the grid. Now, here’s where things get complicated. In some states, the power company will buy metered power at the going rate. In others, the homeowner has to use SRECs (Solar Renewable Energy Credits) to square up, and the terms and payoffs for SRECs vary from state to state. But it’s still the case that buying a grid tie will further speed up your solar payback. Depending on where you live, there may be yet another layer of incentives to consider. These can take the form of grants and rebates at state or city level, or from the power company itself. No grant? Well, maybe there’s a tax break — either no sales tax on panels, or a property tax exemption for the value your solar installation adds to the house. As you probably figured, expert help is a good thing, and most solar installers will give you good advice on all the points above. And they may go further. If you’ve figured the value of all the breaks and you really can’t afford to the cost of a solar installation, your solar company may lease you the installation. Free power! There’s a payback for the installer, of course — they’ll keep all the grants, and any money to be made from selling your surplus power back to the grid. But still, many people are finding that it pays them to use their roofspace for microgeneration.